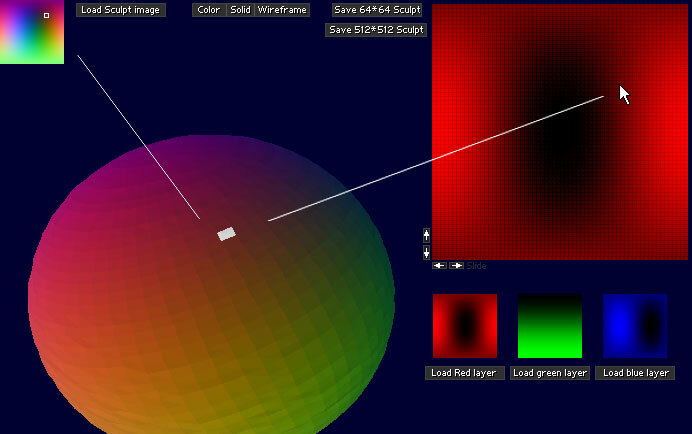 Manipulate explore and change/slide the RGB layers of 64*64 sculpts. This was the first tool of sculptypaint I wrote, since I wanted to explore how sculpties were created. 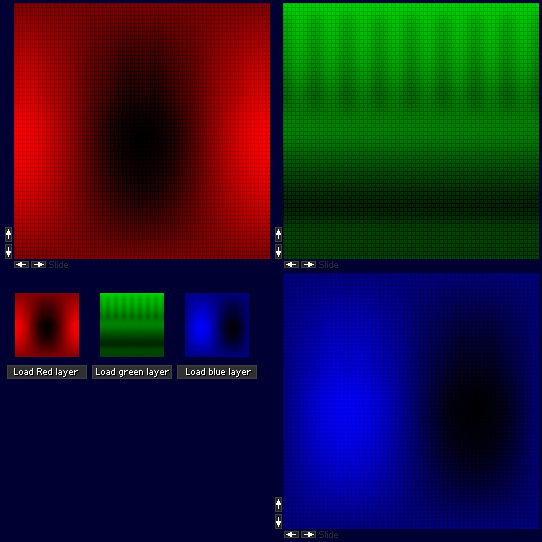 With the little arrows you can scroll a Red, Green or Blue layer 'around'. This can radical change the 3D model. 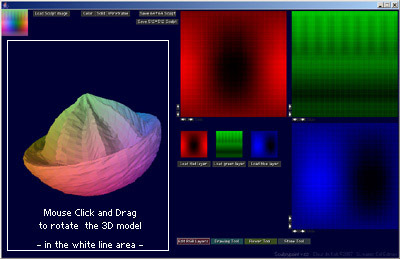 Moving your mouse over the big red layer, shows the actual pixel you select at the 3D model and the sculpty 64*64 image. This feature was put in for personal bug testing. But a nice way for exactly finding special spot where things go 'wrong'.